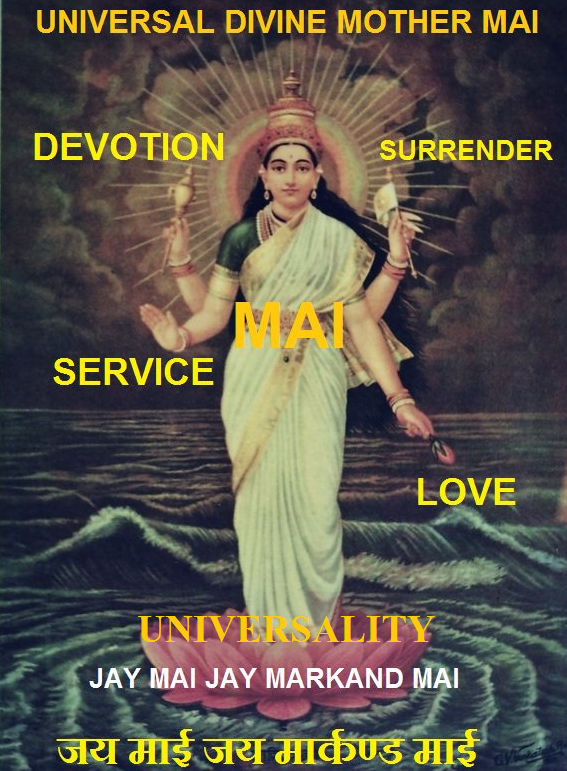 Mai-ism is Hinduism or Christianity or say any religion. BUT NOT THAT ALONE. A mother is the mother of each one of her children but yet not of any child alone. Mai-ism is a larger circle which include all smaller circles without tackling or touching or disturbing the integrity of any smaller circles. it is a parental religion of the most merciful parent. THE MOTHER which keeps reconciliation of all individual religions. God as Father is JUSTICE and God as Mother is LOVE & MERCY.God as Father or God as Mother means, God that deals with us in fatherly manner or motherly manner.Mother ignores,forgives and forgets which the Father does not, so very easily and not that extent of pity and mercifulness compassion and condescension. None knows the ailment of a child as Mother, without even a communicating syllable. Mother’s compassion alone can save us. Mai Mandir : Mai Niwas, Saraswati Road End, Santa Cruz west, Mumbai 400054 India.